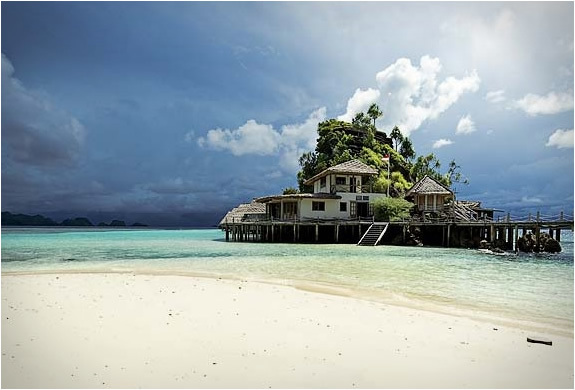 Misool Eco Resort in Raja Ampat, Indonesia, offers you a exclusive luxury diving holiday surrounded by the worlds richest reefs. 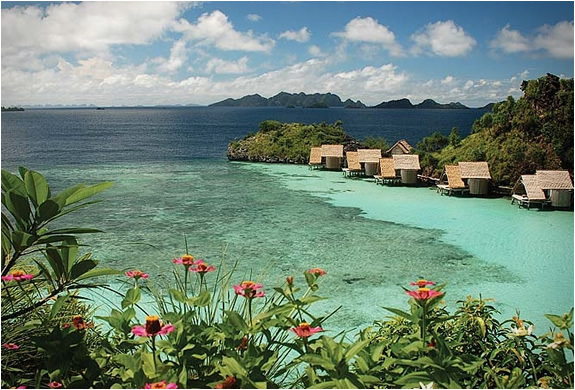 The resort has just nine deluxe water cottages that rise on stilts over the placid North Lagoon. 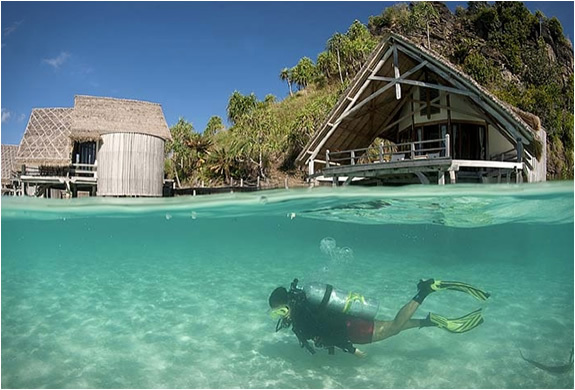 The resort offers a Dive Centre fitted with a massive camera and equipment area, adjoining a comfortable lounge. The owners say "Our resort is an intimate tropical hideaway, built on a private island in an archipelago of uninhabited islands. We are 165 km away from the nearest port, blissfully secluded and largely unentered from the modern world. No light pollution, no noise pollution, no mobile phone signal... in fact there is very little to distract you from the surrounding natural beauty."